"Their lives start to revolve with these things that many of us living at the cities and working at the office don't know or not aware at all." The more I traverse the length of the Mestizo River in Vigan via the Vigan Heritage River Cruise, the more that I appreciate the simplicity of life that many of us can't appreciate. We have always wanted a life filled with luxury and comfort (and who else doesn't want) but with the scenes I saw along the banks of the Mestizo River, my hypothalamus begins to send neurochemical signals that filled my emotion with a mixture of just many things. I was brought out in a simple family just within the corners of our house and never exposed to work at the fields or in growing livestock therein. Of course, I am not also accustomed with the life near the river so seeing these scenes is a big deal for me because it is giving me a chance to explore more about life, society, our community and see the new things that I rarely see in my daily routine. The things I am seeing brought me to real life and to mature as well that the simplest thing in this world should not be taken for granted. 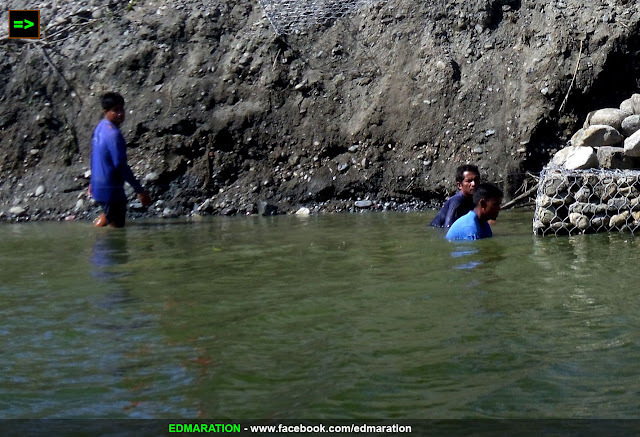 During the morning, the life along Mestizo River goes into action. 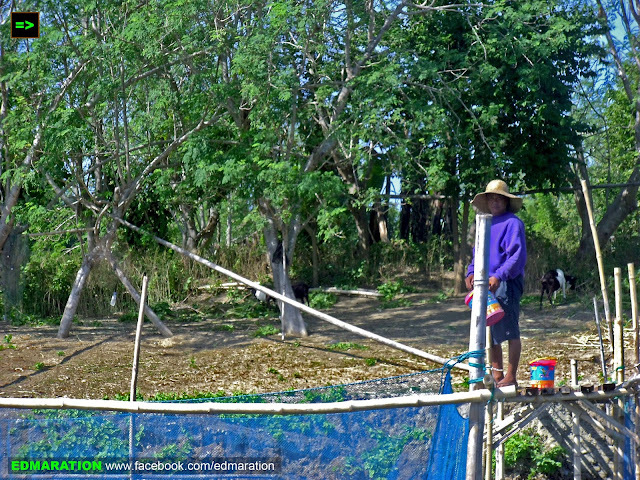 Some residents living nearby, wearing their hut and long sleeves face the sun as they visit their fish cages to feed the fishes therein. 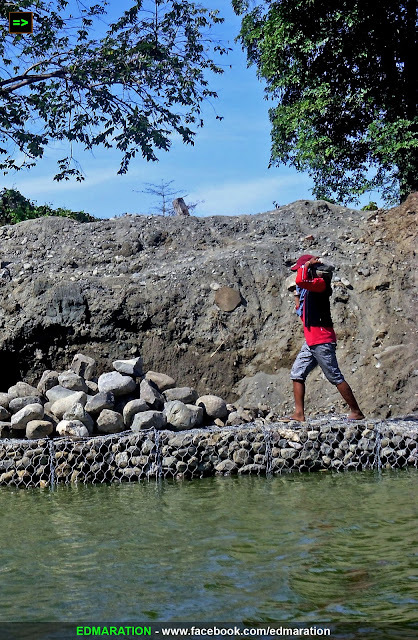 Aside from the fish cages, there are also livestock that are domesticated by the residents also just along the river and these include goats and poultry. Their lives start to revolve with these things that many of us living at the cities and working at the office don't know or not aware at all. As the boat [where I am in] continues to traverse the river route, there are some I have seen harnessing the natural resources they can get from this river. 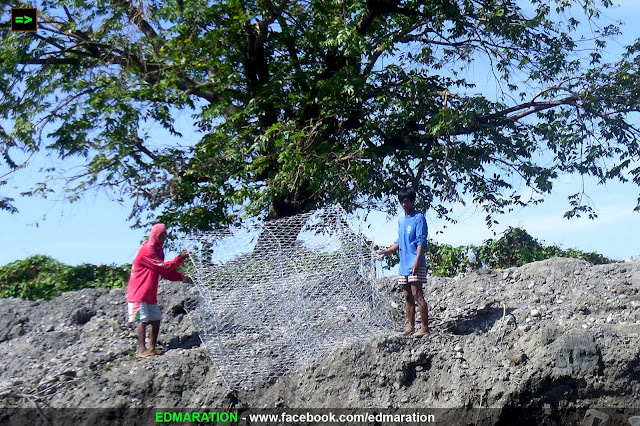 Through the method they call in Ilocano as agkammel, people are able to catch their next food of the day from this river. More over, the cruise kept going until the boat reached a place where several construction workers are working. I salute how persevered these workers are and being a not so athletic or physically-capable individual to carry heavy objects like they do, I have to realize that no man is an island. We have different strengths in life and we excel in different fields. For this, I appreciate how our lives revolve and how diverse life could be that blend too complex to build a community. 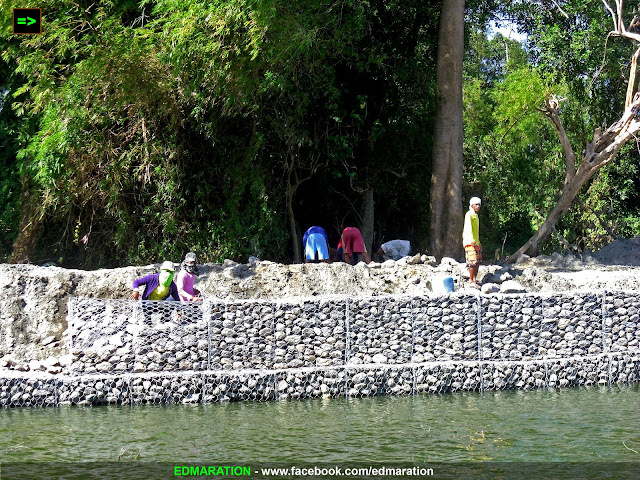 These construction workers are here to build this river control project to protect the residents nearby from the threats of erosion. Under a hot day, they are unstopped by the circumstances and could you just imagine the role of these people in our society yet they are not highly-paid for this physically demanding work but still work hard for their families. And what an enlightening moment to see the smiles of the children looking before my camera who are accustomed with the life along the river. 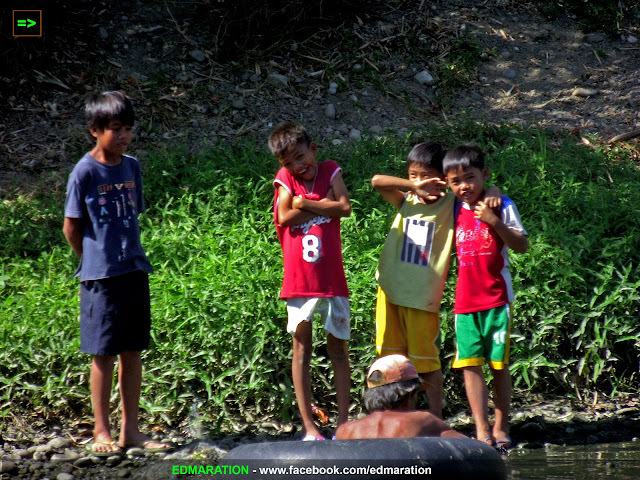 The river has been a part of their life and how inspiring to see these river kids enjoying a life with all those sweet smiles painted at their innocent faces. From these children's smile is the effort of their parents to look for resources at Mestizo River to look for a food for the day or possibly things to sell at the market. 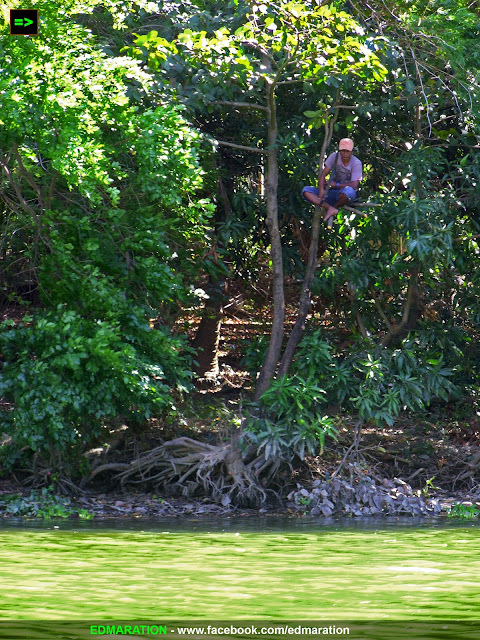 At the photo below is an image of a man catching a fish using traditional means of catching them. Pointed objects are sent toward the river and I can't explain the whole process since I don't how they did it but I was able to see how the man has done the method. This is the Mestizo River, an ordinary river as it may seem but as I cruised to this river, I realized, I am just so ignorant and immature to say that this river is ordinary. I have to say "read the book first before concluding for the title." 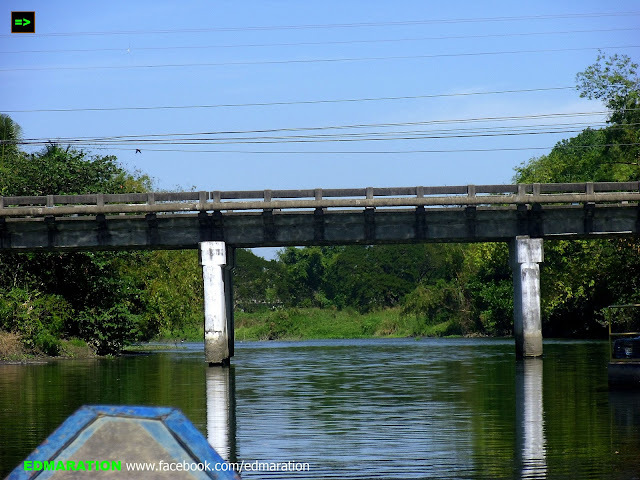 The river seemed so quiet and just a simple river but hundreds of stories can be taken as you explore it and will learn and discover many things and understand the role of this river to the life of both ordinary and extraordinary Filipinos. malimit tlga na gnun sitwayun ng ilan..
Hehe. May idea ako pero ireresearch ko muna ng todo. Haha. Jeff, oo sige switch tau haha. Exploring and traveling is sometimes more about learning than having fun. It is good to know that a someone like you takes the time to make a great post about something people wouldn't have noticed or things that are normally taken for granted. Lakwatsero, actually whenever I go to places, i am actually more into seeing the ignored part of every destination that is very meaningful yet we sometimes fail to notice. It is only now again that I am able to write about this thing. Maryjane. Oo nga. Our children as early as now should learn to appreciate simple things. Ang cute naman ng name ng river - MESTIZO. Sounds like very Spanish. Anyways, I had experienced cruising the Loboc River in Bohol and it was splendid. It would be nice cruising to this river so I will have my own story to tell too. Wat that man really holding on to a thin tree trunk balancing himself?! I am so carried away by the way you describe your experience..and life is very simple but decent here and I can see that people are happy. This is what I love to do..go around the countryside of the Philippines and stay for a day or two to learn how life is different from village to village. Thanks for sharing. Really good for you. Christia, that is the man's tool of catching a fish from the river. ^^ Leah, Actually in Vigan there is also Mestizo District, a place where the old houses are located (Calle Crisologo is the core of this district). Going eastward of the Mestizo District is this river (Mestizo River), so that is my analysis since I haven't made any extensive research about it. The Mestizo district is a place in Vigan where Filipinos with foreign blood (e.g. Chinese, Spanish) used to live. Until now, their generations are still occupying these houses that's why most of the people living in these houses are Chinese. That's a great thing to know. They are Spanish colonial houses but inside these houses are Chinese people. Mestizo River flows east of Mestizo. Mestizo is a term that connotes a person with a mixture of native and European or American ancestry. Kabaligtaran ng Mestizo ay Mulatto kung saan African (black) naman ang ancestry. About kuya at the tree, there is a certain method they apply. May mga trap sila sa isda. And I think nasa taas siya para hindi matakot 'yong mga isda at makita rin niya ung trap. 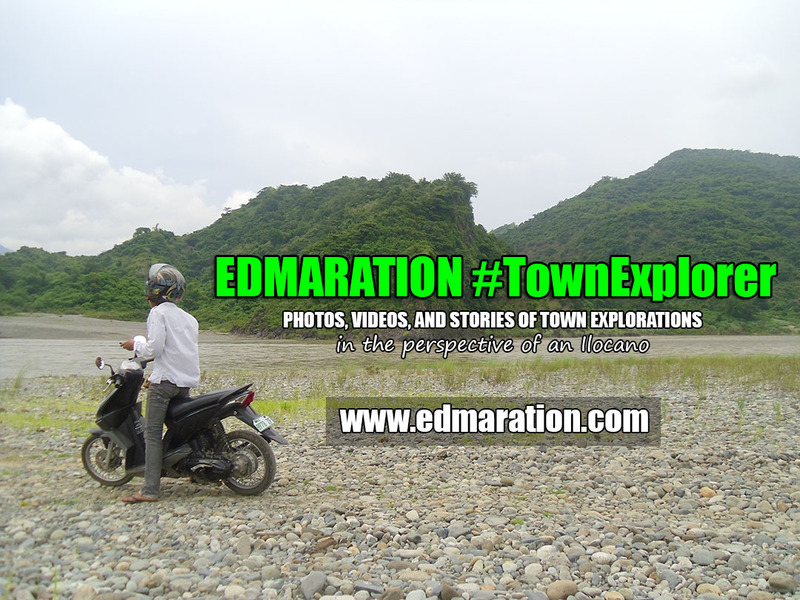 naku nadagdagan yung search of the origins for why it's called - Mestizo River and Mestizo district. hehe. 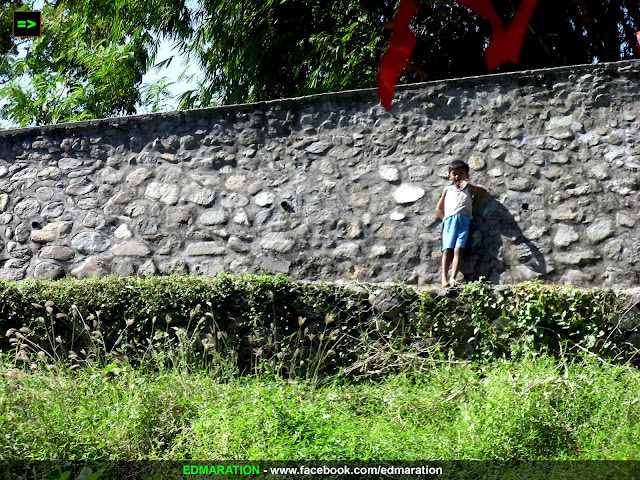 Like the shot of the kid leaning on the wall. Me shadow pa.
^^ Verneeh, oo nga. I didn't include na sa main post kasi unverified but that is my hypothesis. ^^ Wandering Lion, yup, at the end of the tunnel, wealth and richness is all about contentment and happiness. Many people who are rich are living with paranoia and madness. ^^ Mommy Joy, What a good idea. I also want to retire at the countrysides someday. ^^ Looking forward for that tour. 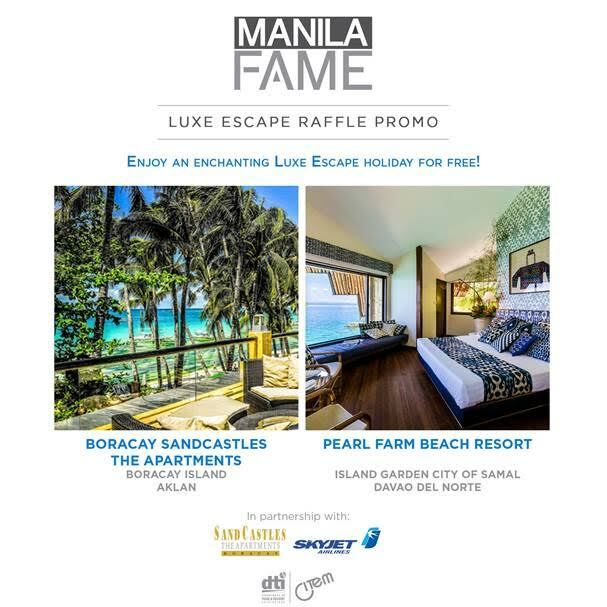 You'll surely enjoy! Life is more enjoyable if one would not complicate it. Happy are those who have simple needs for they don't have to struggle much for material things that could lead to their being greedy. We should admire how the people mentioned in this blog are living their lives. ^^ Ed Zafra, true. They are the people that we really need to admire for having a simple life like this without any complaint. I like how you found stories to tell and scenes to capture in a seemingly simple river in the countryside. Not everything should be about "touristy" places. In fact, I believe there are more interesting stories and sights in places that are not sold as a tourist spot. Like this one. I appreciate your highlighting the role of the construction workers in our society. They do build the physical foundations of our civilization, but we hardly give them much thought...or even adequate paychecks. They toil under the sun and labor until their muscles are taut, but they also barely make the minimum wage. Such is life, but I hope it changes for the better for them. ganda naman ng mga pictures! And yes I can't imagine working in that place under the scorching sun .. Let's be grateful that there are people willing to do it even if they're underpaid. Violy, really true. Life in the province is very simple yet meaningful. In one's simplicity there underlies a beauty beyond description, especially the nature. Mestizo River in Vigan, I believe, is one of the nature's creation, which could be fully developed, could be the source of livelihood of those people residing in it. Vigan has so many hidden picturesque places to be explored and be known to the world. There are "wonders" which need to be tapped and developed. Someday, or sooner or later, Vigan would be considered as one the 7 nature wonders of the world. Wow sir Gil. Sana magdilang anghel ka sir. By the way please vote for vigan now for the new 7wonders cities campaign. I love this post Edmaration! sometimes I'm wondering what would my life be without computers.. and just be back to basics? love vigan love your photos! will definitely visit someday! Thanks Gemma. Hope to see you here. Ed, this post somehow reminds me that genuine beauty rests on how ordinary people live their lives each day. I believe that we who are living in the cities and somehow live a more privileged life has no right to complain about our lives because there are some people who live in such situation. The sad fact is, they are more contented and happy than most of us. Appreciate the small things in your life. You never know, these simple and small things are already the "everything" for some people. Julie, you're incredibly right. We don't have the right to complain. Sometimes we were just so not contented with what we have because of our exposure to city living and we many things that we also wanna grab. 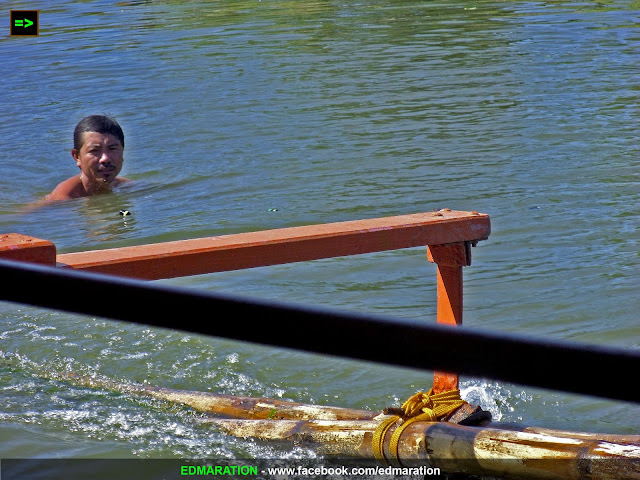 Reymund, nahihintay siya ng mahuhuling isda, he uses certain method kaya sana puno siya. I really like how you captured the people you came across through your Mestizo River cruise. Even if we try to deny it, there are a lot of beautiful things in simplicity. And I definitely agree with Ms. Julie. I think we are living such complicated lives though we consider ourselves more privileged, that we can't find happiness anymore in smaller things. Sumi, true. This was in fact a learning experience. Not simply a cruise. Life is simple for those who want it like the people from Mestizo River.They chose this kind of life and happy and contented.Their day is complete with the freshly catch fish from the river,freshly harvested veggies from their backyard ,farm or forest and some animals/livestock around the area.But some people were not born for this kind of life.They want the big city or shall we say the progressive place to fulfill their dream of having a better life. This is what we call a simple life. Thanks to these people who made our life easier. And it looks they're not complaining at all. always have nice memories in our province... both the place and people were nice... simpleng pamumuhay. Yahweh bless. Correct, they are simple people with GREA role in our society. 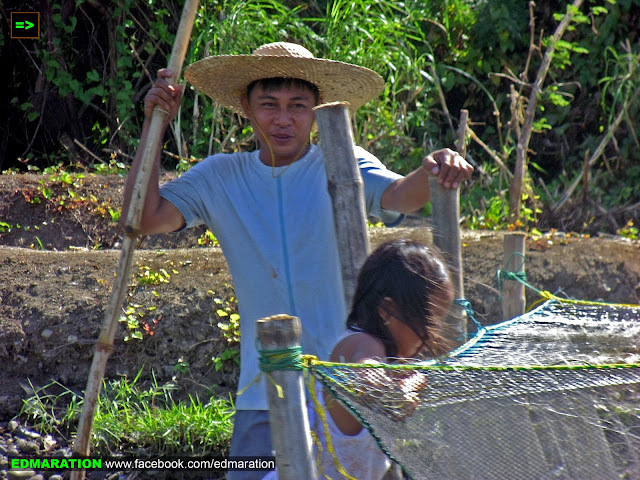 Life in the province is really simple but less stressful from noise and pollution. so rustic. love the sights. Yup. The sights were just meaningful. The river ride seems like a great way to relax. It's nice to appreciate the beauty of our own people. Nice pictures by the way.